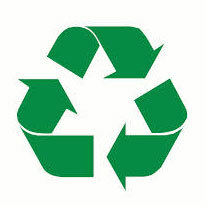 Home News Annual Recycling Rates improve year on year again! Annual Recycling Rates improve year on year again! Over 96 tonnes of waste diverted from Landfill in 2016. Together with our clients, we have achieved an Annual Recycling Rate of 96% for January to December 2016. This impressive performance has meant that we have been able to divert over 96 tonnes of waste that would otherwise have gone to landfill during that period. We shall continue to strive to improve our performance in this important area and continue to publish our progress.